Today we have the pleasure of speaking with Mike Docherty of The Royal Flush Kitchen and Bath Boutique – one of our newest North American retailers. As a purveyor of elite kitchen and bath fixtures, Mike knows a thing or two about what makes a room luxurious. For the next few minutes, we get the chance to pick his brain on luxury design. Let’s dive in! Mike, how would you describe Royal Flush and its mission? We’re a design driven boutique whose mission is to provide a unique luxury experience to our clientele while providing a top notch customer service experience. An admirable goal, one you’ve obviously fulfilled by the looks of your showroom! What was the starting point for Royal Flush? My mother opened The Royal Flush in 1979. She saw a need in Calgary and opened our doors nearly 40 years ago. I took over the business after university and was drawn to the design aspect of the products we sell as well as the desire to be an independent business owner. Well you obviously have very discerning tastes. What about Kreoo made you want to feature it in your showroom? 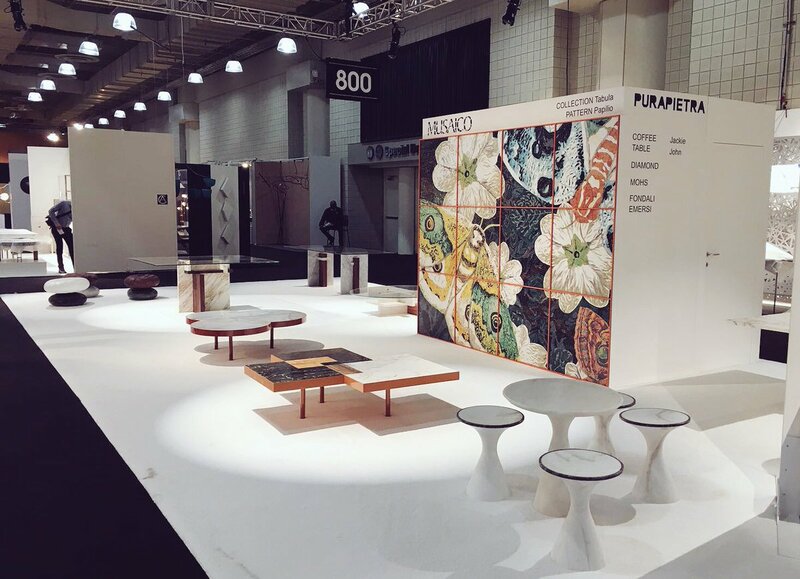 I discovered Kreoo at ICFF in New York last year and couldn’t get the brand out of my mind. I love the breadth of product and the uniqueness of the designs – The RAL painted interiors. The thin edges. The range of different stones available. Everything was incredible. I also spoke to a few friends in the industry who carry your brand and they assured me it would work for The Royal Flush. Which Kreoo product in your showroom is your favorite and why? The Gong vessel sink. I love the shape and the RAL painted interior. With the shifts in the economy in recent years, the design industry has been talking about what makes “true” luxury. If you had to define luxury in one thought, what would it be? And what is the one luxe design feature you can’t live without in a bathroom? I’d have to go with Steam. Ok Mike, last question and this one’s for our audience too. What’s the coolest thing you’ve ever seen a customer want to put in their home? Hmm… Once a customer wanted a snowing room for cold therapy. Big thank you to Mike for giving us the benefit of his expertise. Now the question’s up to you readers. What do you think? If you were doing a bathroom remodel what’s the craziest upgrade you’d choose for your house? Comment below and let us know!